A Swedish doctor who has been obsessed for over fifteen years with the story – known to all Swedes – of the doomed attempt to reach by the North Pole by hot air balloon, has written her own account. She describes her attempts to venture out to the White Island (where the ballooner’s bones were found) four times only to turn back as the ice had never thawed enough to allow the ice breaker ship through. Usma returns to her cabin to watch the frozen North, and quiets her disappointment by taking the reader meticulously through the facts. Three young engineers boarded their hot air balloon in Stockholm, 1987, totally unprepared for the demands of such a journey: their donning of monogrammed woollen stockings was not an encouraging sign. They thought it would take six days by air, having inflated the balloon by dissolving iron filings with liquid sulphuric acid and loading the basket down with port and champagne, plus more essential stores for several years. The balloon started to leak after a few days, and came down without incident but very far off course. They started to walk, dragging hugely overloaded sleds, against the direction of the flow of the ice floes. It took them days to realize that they were barely managing to stand still, let along gain ground, shedding ballast as they trudged. They survived for almost four months on White Island, where their bodies were not found for thirty years. When they were found, it was by accident. At the time, there was no conclusive evidence with the technology then available, as to the cause of death. The bodies were then cremated, destroying any chance of later study. Usma was desperate to return to the site in order to search for some clue, as she was tired of reading theories about trichinosis and death due to an excess of vitamin E in eating polar bear and seal liver. She is wonderfully open about her obsessive attitude, and the book is written in the most lucid, detailed fashion without succumbing to opaque fact or passages moaning about the fragility of human life on the frozen wastes. It is also rather beautiful, with wonderful photographs and excellent formatting. Those who are susceptible to the language of endless horizons, harsh conditions and impossible courage (in other words, the Scots) tend to be suckers for this kind of book. 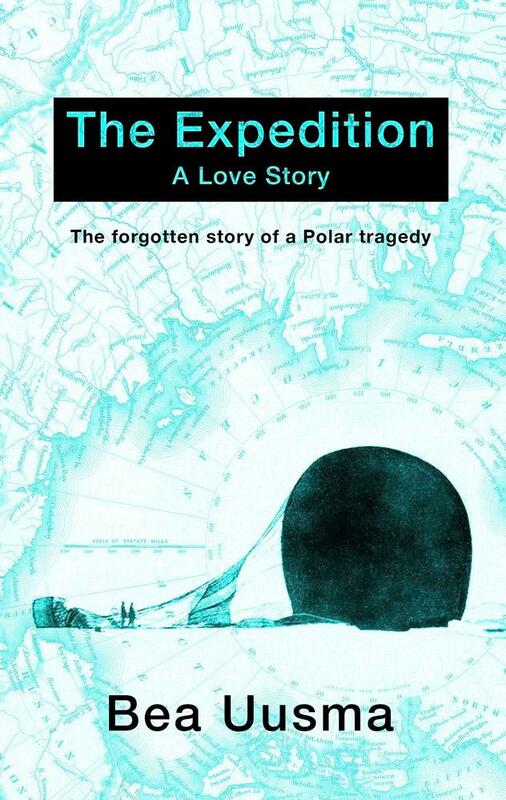 I have not enjoyed a book about ice so much since Francis Spufford’s Ice and the English Imagination. For those that need to find out more, Lines in the Ice: Seeking the Northwest Passage is a free exhibition at the British Library until April 19th. Next week: how to make your own pemmican.